Motivational Marketing professionals presented and discussed new twists on marketing your company in the most positive light. This was an excellent educational, networking and business development opportunity. 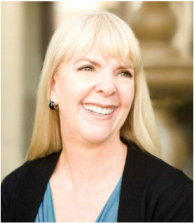 ​3:00 - 3:10 PM - "Motivational Digital Marketing" - presented by Suzanne Mills-Winkler of DDW Marketing - Four quick tips to up your digital marketing plan, attract and engage quality customers, and quickly grow your business. 3:25 - 3:35 PM - "Helping Your Community While Promoting Your Business" - presented by Alan Armijo of Power Partners USA - Cause marketing as an effective tool to both contribute to your community while forming important business relationships. 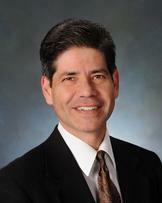 3:40 - 3:50 PM- "Automate Your Marketing" - presented by Israel Serna of Constant Contact. Do you send the same information over and over? Israel shows you how to send fun, motivational email campaigns to inspire your prospects to take action. 4:00 - 4:15 PM - "The Power Of Passion In The Workplace" - presented by Marni Spencer - Devlin of Passion4Profit, Inc. - ​Everything is better when we are passionate about what we do. Leadership improves and performance & creativity increase. Passion attracts customers because who doesn’t want to work with people who love what they do? Here’s what you need to do to create passion in your company. 4:15 - 4:30 PM - "You Can Overcome Anything: Constant Contact and Guerilla Marketing" - presented by Alex Montoya owner of AMOtivational Communications & Consulting Learn how you can use Alex’s inspirations and motivational spirit to move your marketing forward. Alex also describes how he organically created his motivational communications company and how Constant Contact has played a pivotal role. 5:00 - 7:30 - Linked !n Long Beach Business Mixer - Immediately following our summit. Alan owns and operates Power Partners USA and Tech International. Alan has over 25 years of experience in Business Development, Marketing and Project Management. Suzanne Mills-Winkler - Dynamic Designworks Inc.
As president of Dynamic Designworks, Suzanne manages a talented staff of design & marketing strategists, creating innovative marketing and branding content in the digital space for their clients. Which include world famous brands like Cabbage Patch Kids to international brands like Famosa. Her expertise in creative social media marketing has resulted in the rapid growth of her collaborative social media marketing and Design Agency since 2001. 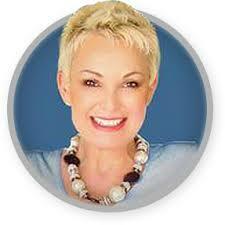 Marni Spencer-Devlin is founder and CEO of Passion4Profit, Inc. certified business consulting, which offers a unique brand of service focusing on corporate happiness & authenticity increasing performance and profits and attracting desirable clientele. As a Regional Development Director for Constant Contact, Israel Serna is responsible for a team of Authorized Local Experts who provide valuable training and skills to small business in the Southern California, Arizona and Las Vegas regions. He manages all partner programs which consist of SCORE, SBDCs and various regional Chambers of Commerce. Alex Montoya is a business owner, international speaker, and published author. 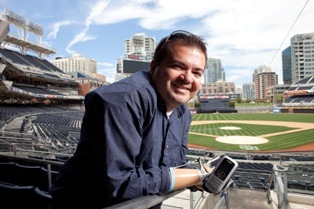 After nearly two decades with the San Diego Padres and Hispanic Chamber, Alex Montoya is now owner and CEO of A-MOtivational Communications and Consulting. He is an international speaker, author, entrepreneur, actor, and consultant to students on the college application process.